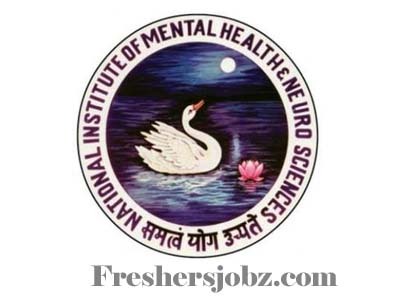 NIMHANS Bengaluru Notification 2018.National Institute of Mental Health & Neuro Science(NIMHANS), Bengaluru has released a notification for the recruitment of Professor, Associate Professor and Assistant Professor vacancies.Check the eligiblity and notification prior to apply for the positions. Discipline: Psychiatry, Neurology, Neuroanaesthesia & Neurocritical Care, Speech Pathology & Audiology, Neurosurgery, Neurological Rehabilitation, Human Genetics, Biostatistics, Biochemistry In Cam Toxicology, Neuro Imaging & Interventional Radiology, Biologist, Speech Pathology & Audiology, Neurochemistry. Qualification: M.Sc, MD, DM, MS, M.Ch., Ph.D/ D.Sc with teaching/ research experience. How to apply: The duly filled in application along with its enclosures should reach the Director, NIMHANS, P.B.No.2900, Hosur Road, Bengaluru, on or before 15.12.2018.